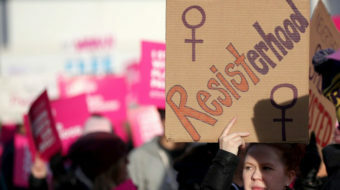 “The heartbeat bill is the next incremental step in our strategy to overturn Roe v. Wade," Ohio Right to Life President Mike Gonidakis admitted. 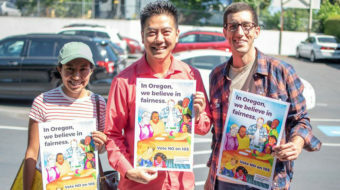 Groups are campaigning against Ballot Measure 105, legislation that would repeal Oregon’s so-called “sanctuary status,” in place now since 1987. 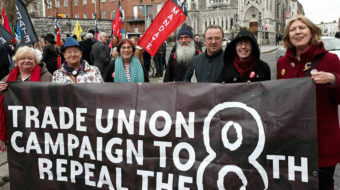 The 8th Amendment, which equates the life of woman and fetus, not only banned abortion but made second-class citizens of pregnant women. Planned Parenthood already can’t spend tax dollars on abortions. So when politicians talk about “defunding” it, they really mean preventing women from accessing services like pre-natal care. 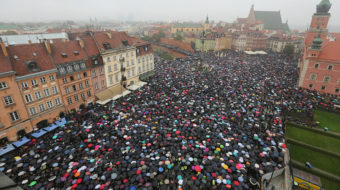 A proposed total abortion ban in Poland will not be implemented, a member of the government has said.